World Sight Day is an international day of awareness, held annually on the second Thursday of October to focus attention on the global issue of avoidable blindness and visual impairment. Like last year, this year too there are many activities being planned to celebrate World Sight Day. Listed below are a few of those. 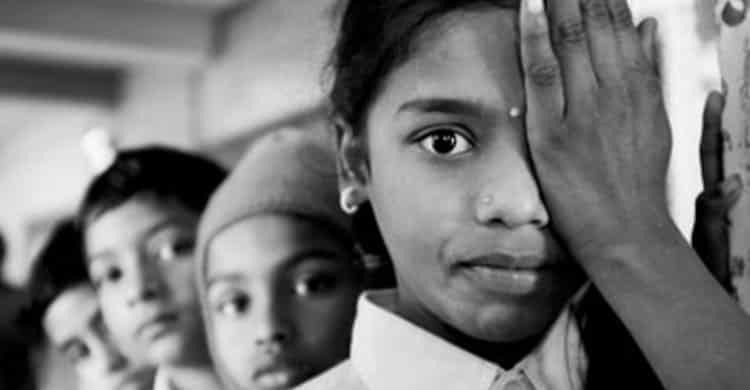 The Mumbai Eye Care Campaign, an initiative of Sightsavers and Standard Chartered Bank – Seeing is Believing, has planned a host of activities on 11th & 12th. Besides raising awareness through workshops and games, over 800 employees from the bank will work together to develop various ‘Teaching Learning Materials’ which would be pilot tested by Sightsavers in its project in Amaravati district. On 11th, at the bank’s office in Goregaon, a soft launch of a music CD ‘Avishkar’ is planned. Avishkar is a compilation of songs sung by persons with visual impairments and supported by Sightsavers. This year we have a brand new association to reach out to people. Fame (I) Limited is supporting Sightsavers to help raise awareness on avoidable blindness. Starting October 11, information standees are being placed at their multiplexes in Malad, Kandivili, Ghatkopar & Vashi. Do tweet a photo to @SightsaversIN if you spot one of these. At Bhopal, a photography competition culminating into an exhibition is underway. The competition is woven around the theme ‘Through Different Eyes – Cherish your vision’ and is inviting participation from senior secondary school students. The best 40 entries will be be exhibited at Swaraj Vidhi Art Gallery, Ravindra Bhavan, Bhopal on October 14, 2012 and the winner declared. With over 130 entries received, the exhibition will surely be a must watch. Our partner, Antyodaya Chetna Mandal is scheduled to organise a sensitisation programme for students from two colleges in Mayurbhanj. There is also a quiz competition planned on eye care and disability in two schools. A mega school screening & community screening camp in Ganjam is scheduled for 10th, while on 11th, a district (Ganjam) level stakeholders meeting on eye health and accessibility is planned. A road show with tableaus raising awareness around avoidable blindness will move around in the city of joy, Kolkata. At Patharpratima, an outreach camp with women groups to reach out to five gram panchayats is planned. School screening camps and rallies are happening in different parts of the state too. Schools screening camps along with poster displays to raise awareness. School screening camp is being organised by our partner, Lepra Society. Watch this space for an update and photos from these activities.